As this episode airs, I’m a day away from returning to Japan with my son – and Japan is the place I know I was blessed with so very many random acts of travel kindness, both when I lived there and on my return visit a couple of years ago. So it’s timely to look back on some of those moments were a local went out of there way, with no expectation of any reward, to look out for you when you were lost or confused or otherwise in need of help in a foreign place. 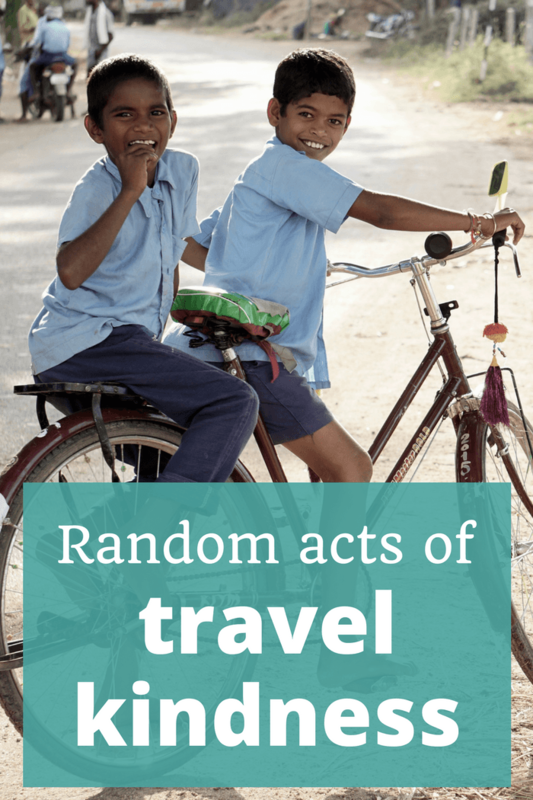 I always think it’s a shame we preach about “stranger danger” when in reality 99.9% of strangers are just people waiting to be kind to us – and Episode 88 of The Thoughtful Travel Podcast reinforces my thoughts because I have three guests who’ve had delightful experiences with random acts of travel kindness from the people they’ve met when they’ve been travelling. First up, I chat with Matt Eakin – if you’ve heard Matt speak before you know his stories are always rippers! – and this time, Matt tells me about what happened when he decided to check out the Muslim festival of Estema on his trip to Bangladesh. Let’s just say that the kind and interested strangers numbered literally into the thousands! Next I chat with Cheri Shanti who recalls some of her favourite small acts of kindness from strangers when she’s been travelling, in places from Thailand to North America – including a time when she was suddenly very ill. Finally, Joanne Karcz has spent time walking on the Camino and has some really beautiful moments of random travel kindness to tell me about.